The board of directors approved NVCA’s 2019 budget. The budget came in at $4.9 million, up $184,600 from 2018. Funds from municipal levy represent 49% of NVCA’s revenues. Grants for special projects, revenue generated by the authority through user fees, and donations make up the remaining portion. The budget document is available on the authority’s website. The board endorsed recommendations put forth by Conservation Ontario, the umbrella organization for the province’s 36 conservation authorities, to improve client experiences and streamline services in response to the Government of Ontario’s priority for housing supply in high growth areas. Conservation authorities have mandated responsibilities with regards to the planning and development approvals process. 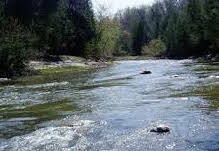 Led by Conservation Ontario, conservation authorities identified three key solutions to aid the government in meeting their housing priorities while effectively carrying out the conservation authority mandate for hazard management and plan review. These solutions will be worked on with development community, municipalities, and other stakeholders. · Provide client service training and establish client service standards. · Report on the commitment to timely approvals annually. · Initially, focus efforts on conservation authorities with high growth areas where housing supply is needed immediately. · Assess current application review/approval timelines, identifying problem areas where timelines are not being met and developing solutions to meet timelines. · Establish timelines that match the complexity of development applications (e.g. simple and complete applications can be processed more quickly). · Examine where conservation authorities can improve or change our processes to speed up or simplify permitting in hazard areas. · Explore additional legislative or regulatory amendments to achieve increased housing supply and decreased approval timeframes. NVCA staff will review these solutions against existing policies and protocols to look for opportunities for streamlining and improved service delivery. These actions will be reported back to the board at a future meeting. · approved funding to purchase seedlings in support of NVCA’s forestry program, which anticipates planting more than 146,000 trees in the watershed this year. These funds are recouped through agreements with local landowners and a generous grant from Forests Ontario. · received an update on the development of the new Integrated Watershed Management Plan. A draft of the plan will be circulated in April, with a final plan anticipated to be brought to the board for review/approval in June of this year.